Feature image: The Valdemarin project in Madrid, Spain. LEED has been a much sought-after certification for commercial real estate projects in Europe for years. The Green Rater European Network (GREN) is working to increase the market focus to include residential projects as well. Unlike the commercial rating system, LEED certification for homes requires third-party verification in the person of a “Green Rater." Green Raters are individuals who have not only demonstrated an understanding of building science fundamentals, but who have also undergone training, testing and mentoring in the LEED rating system for homes. If you are a building professional in Europe seeking to certify a single-family home, multifamily building, or even a manufactured home, the Green Rater European Network can put you into contact with Green Raters in your area who will assist and guide your project team through the certification process. They will help you integrate the rating system requirements into your project’s planning, design and construction, as well as perform on-site verification of the completed work and conduct performance tests. During the last 12 months, members of the Green Rater European Network have worked on a growing number of residential projects pursuing LEED certification. In a very short period of time, the network members have shown that LEED can not only work in Europe for residential projects, but that it can also be used on virtually all types of residential construction and in all market segments. Projects completed or in progress cover a wide range, including multifamily, single family, new construction, rehabilitation, luxury and affordable housing. The home of American architect Marc Holt aims to be the first home in Germany to obtain LEED certification. The home was selected from one of the builder’s standard plans, and with very few modifications, was adapted to meet LEED specifications. Charles Nepps, a GREN member, recently completed the final construction visit and is now preparing the project documentation for certification. The project hopes to achieve LEED Platinum status in the spring of 2018. Valdemarin, in Madrid, comprises 10 luxury homes by Spanish developer Caledonian, and is pursuing LEED Gold certification. GREN member Valeria Fiorentino recently completed the project’s mid-construction inspection and intends for the project to achieve certification next summer. In addition to Valdemarin, several single-family projects in Spain have recently registered for LEED certification, demonstrating the growing interest in LEED in the Spanish residential market. 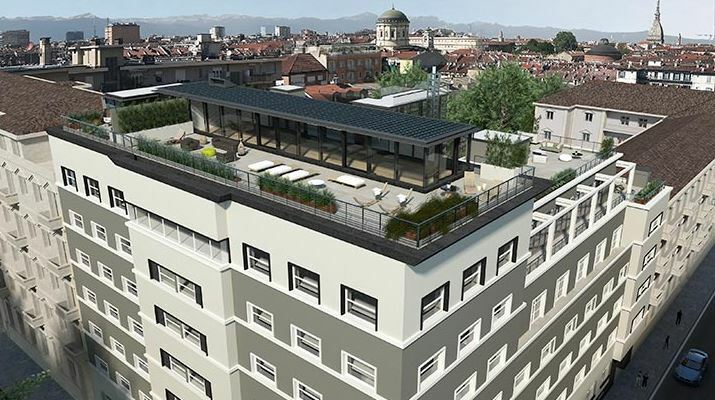 In Torino, Italy, this project involves the renovation of 47 apartments in a historic building, and is seeking certification as a midrise dwelling. Also pursuing certification under the Midrise category is a second, publicly funded project in Milan, which will provide 39 affordable housing units in two buildings. Paola Moschini, a GREN member, is the Green Rater for both projects. The Palazzo Novecento project in Torino, Italy. Cal Guerxo, in Catalonia, Spain, involves the complete restoration of a medieval home that is hundreds of years old.The home will be upgraded to modern standards of comfort without negatively impacting the environment. The project is pursuing LEED Platinum certification, as well as Living Building Challenge certification. Valeria Fiorentino, a GREN member, recently performed the mid-construction inspection. This inspiring project intends to demonstrate it is possible to renovate an existing home and to make it a regenerative and truly sustainable place. The Cal Guerxo project in Catalonia, Spain. The variety of projects in different countries pursuing certification demonstrates that LEED is a flexible rating system that can be successfully implemented in very different market places. It also shows the commitment of European residential developers to sustainable construction. The European Green Rater Network is in the forefront of making LEED homes certification in Europe more accessible, and its members are committed to continue working with SGBC to make the rating system even more user-friendly in their local markets. Thinking of pursuing LEED certification on your next residential project? Go to the Green Rater European Network website to find out more about the LEED certification process and to find a Green Rater located in your area.